There is an interesting observation here, that the socially acceptable forms of protest, innovation and radical change are only helpful in terms of creating incremental and socially acceptable change. You may shift things but they will be shifted WITHIN the acceptable boundaries. When you start pushing on the boundaries, or fundamentally breaking the boundaries, you will be operating outside of the law. In society, this takes the form of illegal activity. In organizational life this means fundamentally violating the organization’s norms and policies, some of which are unwritten and my not even be visible until you start acting in ways that make them visible. It is this way with colonizing mindsets embedded in the ways that social institutions, governments and businesses operate in Canada, where there is hardly ever a fundamental challenge to some of the core ideas of colonization, such as the assumption that all private land was legally obtained or that all public land is owned by the Crown. In a society based on colonial power structures, everything goes along fine until some First Nation somewhere stands up to a Canadian law and challenges it’s authority. The act needs to be law-breaking in order for the laws to be rewritten. This is how Aboriginal title has entered Canadian Constitutional law as a valid, binding and important legal concept. Likewise as organizations and businesses are trying to fundamentally change core practices, they are largely constrained by doing by having such change championed by an approved panel of change makers. Fundamental change comes to organizational life from the outside. It is disruptive. It calls into questions sacred cows about power, management policies, core purposes and priorities. Like activists, change agents are marginalized, dismissed reassigned, and often fired. At best if you are championing fundamental change within an organization you may suddenly find yourself without access to decision makers, left out of strategic cnversations and not allowed to work with and mentor junior staff. Fundamental change is a threat. As I grow older as a middle class white skinned man, I have found myself on the receiving end of more and more challenges from younger people who don’t look like me. They challenge my assumptions and my ideas. I am beginning to discover that, despite having lots to offer, the way the world is changing around me must necessarily overturn the assumptions I make about the world, the ones that have allowed me to work relatively close to the core of social stability. I aspire to be an ally to those making change from the far margins, but it is not my place to declare myself an ally. People are given status as allies of fundamental change makers. It is not a title you can claim for yourself, no matter how well intentioned you are. Social change, innovation and reorganization requires a kind of leadership at every level that works at the margins to provoke and overturn and works from the centre to, in effect, not defend the status quo too much from the “threats” from outside. There is no “other side of the fence” in the work of social change. 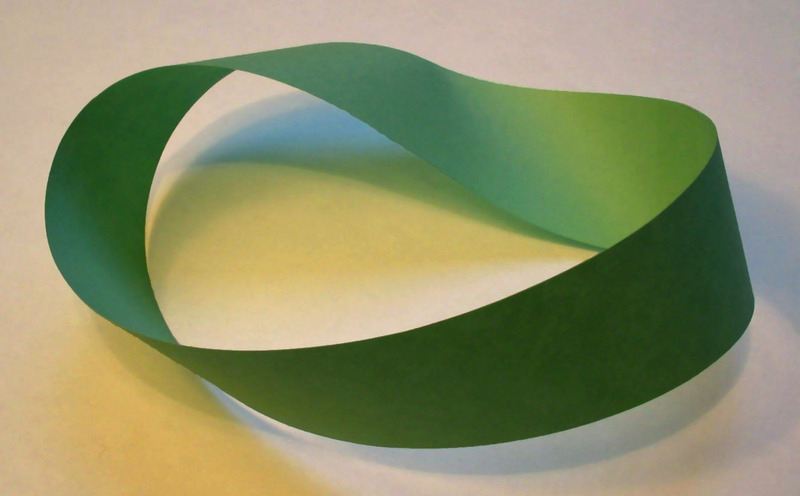 While I’m not sure that there has ever been an orderly revolution in the world,the question for all of us is which side of the revolutionary Möbius strip are you on and what can you do to help what wants to be born? I don’t know how much of that is clean and how much might be opportunistic showmanship. And I admit my knee jerk reaction is, “stand up will ya.” But it just could be that he is using his position for willful disobedience / violation of a norm. It’s getting attention in that population. Radical act never acceptable. Democracy evolving? Maybe. To be continued. Many more have died since then. When I initially read it, this piece gave me a strange peace of mind. I’m not about to lead a full-blown revolution but I’m considering introducing a model in the organization that I suspect will push the understanding of a role further for some people than they’re comfortable with. In some ways I feel like I want to protest against current practices and mindset as I fail to see that it would serve anything but immediate future. It’s not really built to last. I’ve been jiggling, trying this or that – stuff that is not central to how the organization is used to working. It’s hard and I’ve lost much of the motivation. things come from it, how coming from a different perspective can really help the organization… but also how the alienation happens, and doors are shut. Just like you pointed out. And then you have to leave the good stuff behind. At the end of the day, for me it’s about integrity and doing excellent work. If my form of protest is to push towards better, change the system or structure, then so be it. I may not always be happiest with where I am but trying to be elsewhere or doing things in another way goes against the grain. So I know that I will be the outsider, the challenger. I know for sure what I do won’t be always acceptable. Maybe what your wrote made it easier for me to accept it once more. Maybe that’s where the peace of mind comes from. I’m now also thinking how what you wrote fits into what Foucault thought of power and power relations… Well, that requires a bit more thinking. Thanks for this extended reflection! Thanks for a fascinating and thought provoking post, Chris. I certainly found myself agreeing with the types of examples you gave and with your sense of perhaps not doing enough. But on reflection, I remembered that the complexity approach of Snowden and the like tells us that causality in complex domains only becomes apparent retrospectively, and that we tend to select examples where something worked. But sometimes it can be the flap of a butterfly’s wings that changes the system. Sometimes a radical protest can cause the status quo to circle the wagons and dig in more deeply (we’re seeing a lot of that now around the world, it seems). Sometimes it can just lead to those protesting being silenced and ostracised… or it can lead to widespread, positive, wholesale change. There are no guarantees in a complex system. Communities engaging, entirely legally, in complementary currencies and timebanking may have just as much impact, if not more, than the Occupy protesters – or maybe both are needed. Thinking also of the role we comfortable, white, middle-class people can play: those supporting can be just as important as those fighting on the front line for their own freedom. Here in my home city, one woman was able to change building regulations. She was the sole survivor in a bus crushed by falling masonry in an earthquake due to the failure of those very same regulations. Others had been calling for the same change, but those directly impacted by an issue often have the louder, more authentic voice – but those people still also depend on the less visible support of others. Those at the forefront of civil rights or other minority movements could not have succeeded without other tiers of support from large swathes of the population. It seems to me that societies apply Snowden’s “probe-sense-respond” through diversity: lots of people trying lots of different things, usually according to their strengths, and ultimately – hopefully – what works gets amplified and propagates. But when it doesn’t, then something more radical might be needed (maybe!). PS. @Helena: I would certainly be fascinated to hear your reflections on this from a Foucauldian perspective. I’m currently looking into how practices change from the perspective of social practice theory, so any academic links to this topic would be appreciated, especially linking the Cynefin-type complexity perspective to a wider academic body of work. No argument from me Richard. What you’re saying is compatible with what Micah has written and is key to our thinking about social activism. A new kind of complexity informed activism is what we’re after. Ideology is the obstacle. And causation is essential to ideological approaches. I’m not sure I can agree with Micah’s statement – as it suggests that change is something that is always about confronting established structures directly and in ways that are threatening or dangerous. If she had said that legitimate protest always challenges established norms – then yes, I would agree. In my experience, often the most insidious and effective way to challenge a system is to target those areas that are overlooked or have been left unprotected – they are open and exposed because they have never been seen as an opportunity or as a weakness. I think this is what is referred to as thinking outside of the box – a practice that is often the pursuit of so-called sh*t disturbers – folks that are attracted to the edges of society’s established norms e.g. comedians, designers, programers, inventors, artists and Aikido masters. Like certain creatures in the natural world, they understand this a fertile territory – even though it has its inherent challenges. In some situations it may be established laws, in many others it may be the in ability to attract support, resources or beneficial attention. While protest may at times need to be illegal, the protest that attracts my attention is the type that is insidious, odd, bold, judo-like and attractive. It’s about context for me. I take special note of protest that makes me uncomfortable and even targets me specifically. They might not be attractive forms of protest, but they are often the ones I have to hear. This was a significant reminder of the differences in speech acts. It is one thing for me to declare, “I’m on her side,” and another thing altogether to take up the cause.